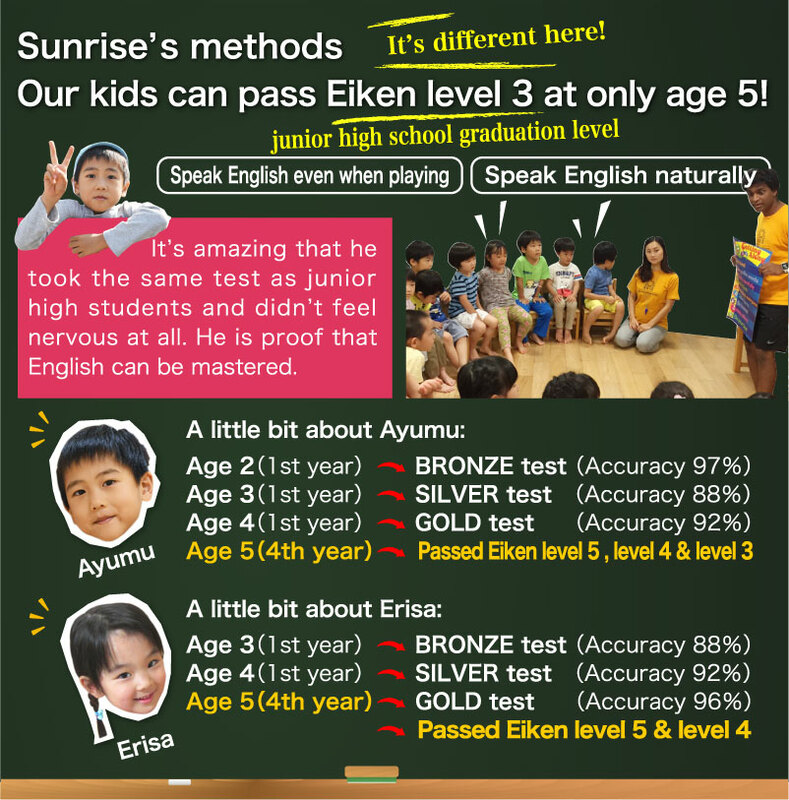 HOME > Students registered at Sunrise Kids have passed Eiken level 3 at age 5! 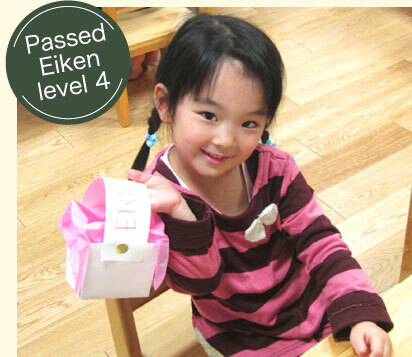 About Sunrise's methods Success stories About Eiken Jr.
Afterschool Student Nanami Passed Eiken 2nd grade! Congratulations! July 2017＝Passed Pre-2! November 2017＝Passed Eiken 2nd grade! 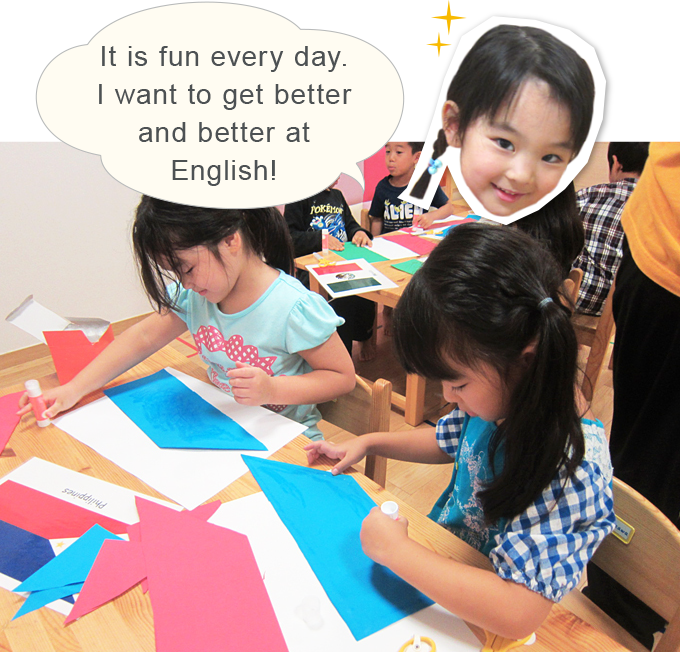 We are happy to announce that Nanami, one of our after school students, passed the pre 2nd grade Eiken test! 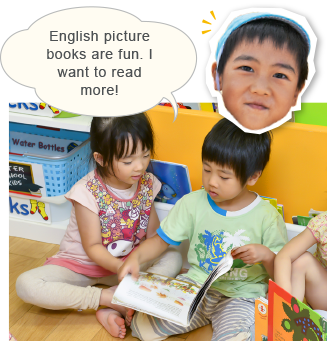 Eiken 2nd grade is a test meant for junior high school students and high school students. That means there are a lot of long passages to read, filled with many different and difficult words! That combined with lots of listening and an interview it makes for a pretty tough test. Thankfully with a lot of studying and some help from the Sunrise teachers, she was able to do it! Her parents spend lots of time overseas. 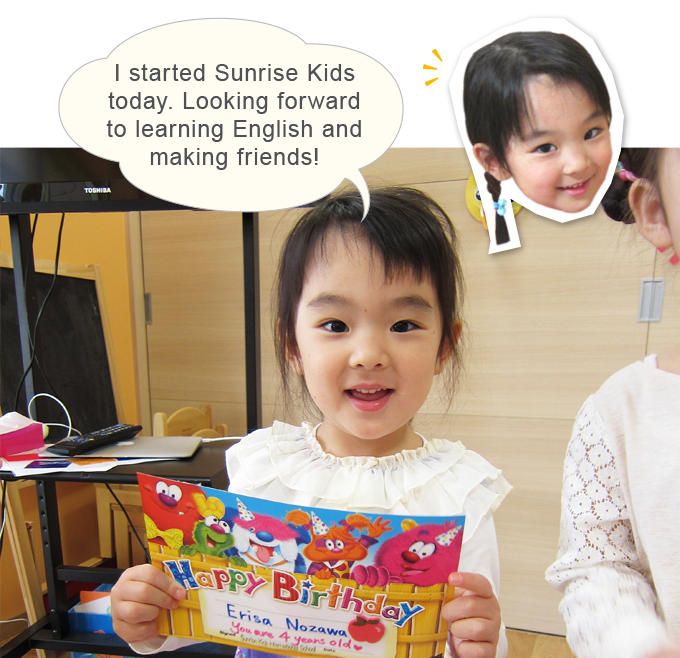 Nanami’s English skill will be a great help when it comes to making friends from all over the world! 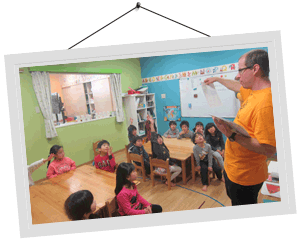 Classes are taught by both a native speaker and a Japanese lecturer. 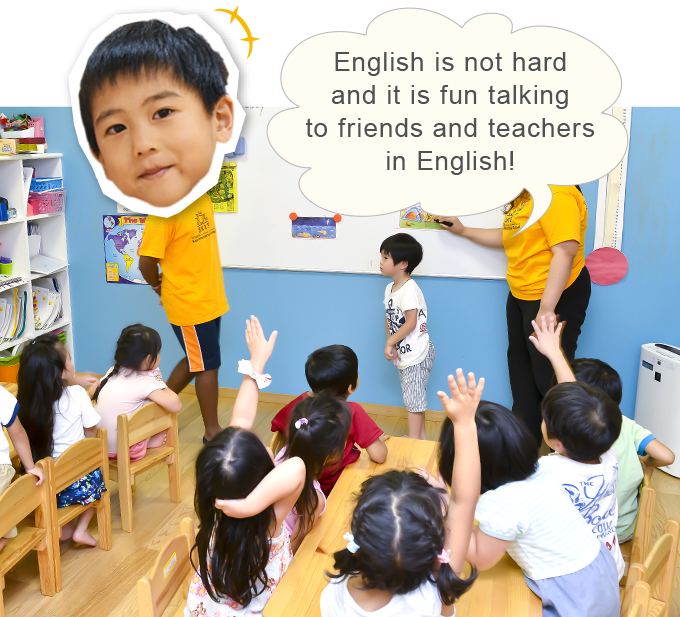 English is handled by the native, whereas manners, discipline, and toilet training are mainly handled by our Japanese staff. 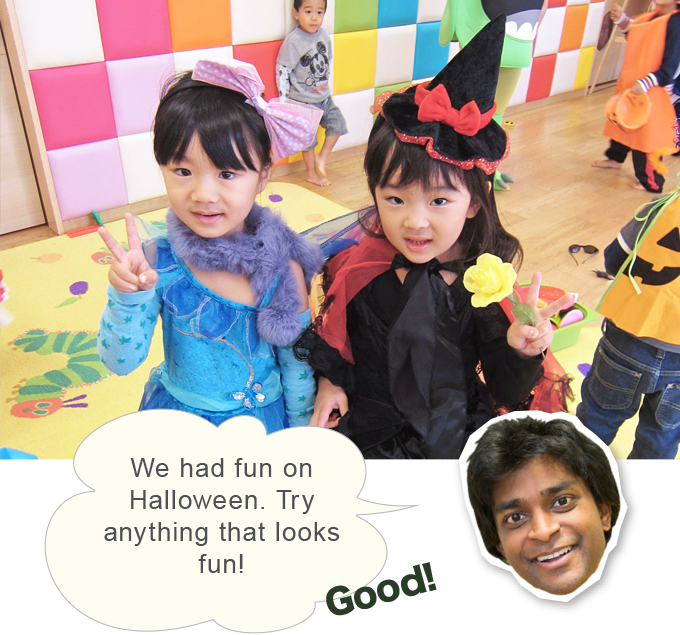 Our goal is to have an international balance between the two teachers. 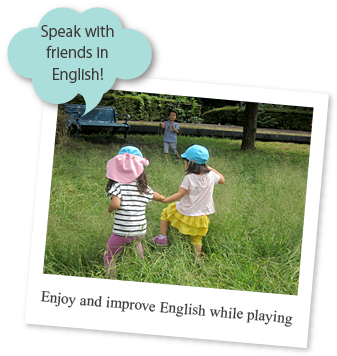 Students are learning English all day long, even while playing and eating. Sometimes students fight with their friends, and even in those situations the teachers will ask them in English why they had the fight and what they can do to make up. 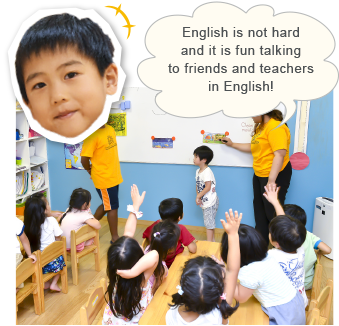 For Japanese kids, living the English lifestyle involves their brains being full 7 every day. Since they learn the words naturally in their life, they "live" the words. Special lessons such as exam preparation are not necessary as the English they'll learn in our regular program will be enough to take the Eiken Jr. test. Customers may apply for our services anytime. It's the first time children are away from mommy. They'll learn the basic rules of life. They'll learn meanings through hearing and repetition. 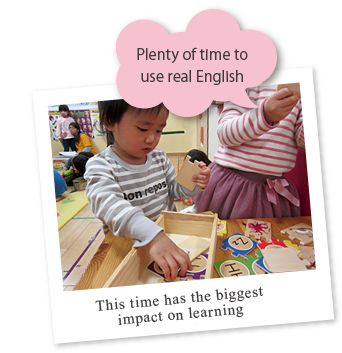 This is the best and most important time where hearing English can have a real impact. Kids are now used to the school life and love playing with their friends. Around this age, they can almost fully understand the native instructors and are able to say what they want to say. If they say something in Japanese, they'll be asked "What did you say?" all while being encouraged do it in English. Children really start to take an interest in reading and writing, so around this time, we really begin to focus on literacy. Through phonics, they'll start to put words together and be able to read a book. Everyday, they write letters to their friends and learn what fun it is to write. Outdoor activities are also important, so we do exercises on mats and with the vaulting horse to help get the kids in shape. He is able to speak naturally and was able to pass Eiken level 3 from learning English in his everyday life. Ayumu-kun is always smiling and gets along with everyone so he's a popular person in the class. He also has a shy side, but he can say what's on his mind just fine. He got interested in English after hearing the sounds of the alphabet for the first time and has been studying ever since. 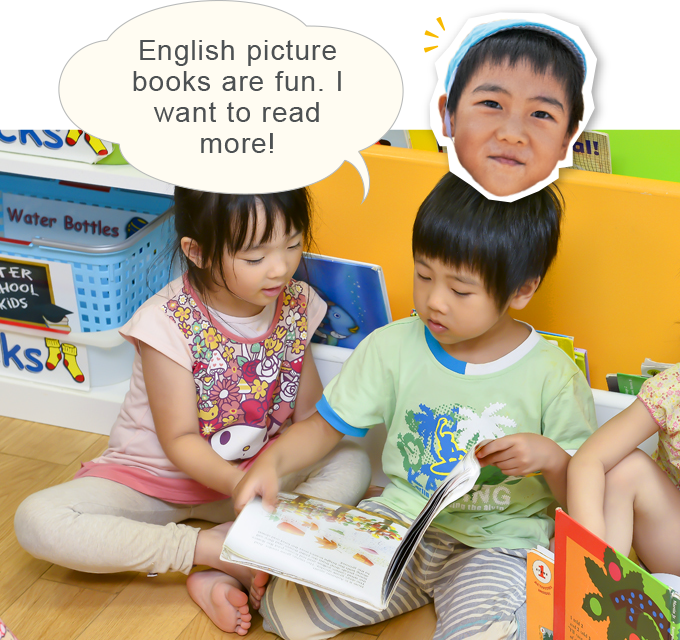 He loves reading picture books and has recently shown an interest in animals and sea creatures. He loves playing and studying with his friends. 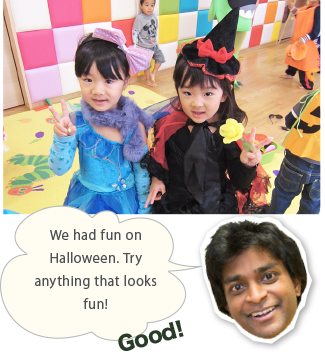 Ayumu had never been in an all-English environment, but he was able to understand and say a lot of simple words quickly. He also was able to say the alphabet and simple phrases like: "What shall we do?". Ayumu is a very friendly, caring, and popular kid. He loved story time and was able to read very simple story books all by himself. He also started toilet training and outgrew the diaper. He was a little timid to try new things at first, but with encouragement he started trying them with no problem. He was now able to read simple words and read smoothly. He was also able to not only repeat, but more clearly state his opinion and what he thought things were. He was able to do more things by himself, such as eating with chopsticks. He also got more involved with his friends and the play dynamics were more boy-like. His younger sister was also born around that time and the family bonds became stronger. He became able to have a conversation with teachers almost only in English. He also started to like reading longer stories and was able to understand words he didn't know by using phonics. He started to not only play with his friends, but even started to look after helping out kinds younger than him. He also started playing soccer and playing with blocks. He became able to write well using a pencil and was even able to cut with scissors neatly. Around this time, he spoke openly in front of a large group. He also started doing other activities during sports days, such as gymnastics and he also got interested in the piano. He wasn't even nervous when taking the Eiken and demonstrated an enormous amount of effort. We are really pleased with the results of Sunrise and their teaching methods. 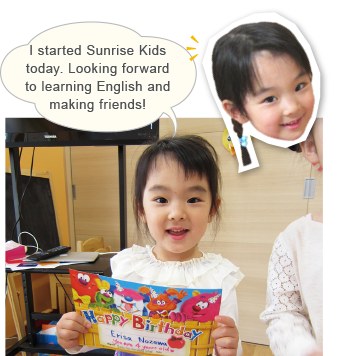 She was able to pass Eiken level 4 from learning English at Sunrise. 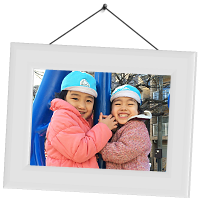 Erisa-chan is always bright, cheerful, and loves to play with friends. She has a lot of friends at Sunrise! She really likes playing make believe as well as dancing and especially singing. When she hears a song she likes, she can memorize it. Such learning speed seems to surprise even the native instructors! 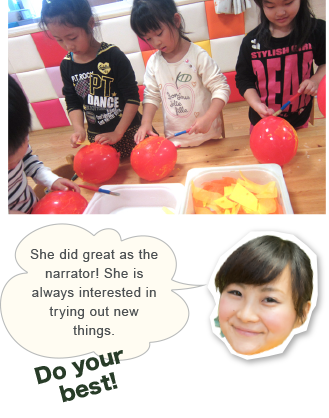 She was able to repeat the instructor's speech with no problem and never gave up trying to say longer sentences. She liked to play imagination games with her friends. She loved talking about the things she learned both at home and at Sunrise and was happy to come to school everyday. She always tried hard to get the parts that she didn't know and was able to take in and understand a lot of things. She was very good at drawing pictures on her own, too. 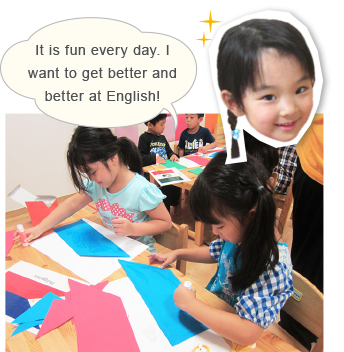 She was able to do a lot of things in English and use words that she heard from her teacher by herself. 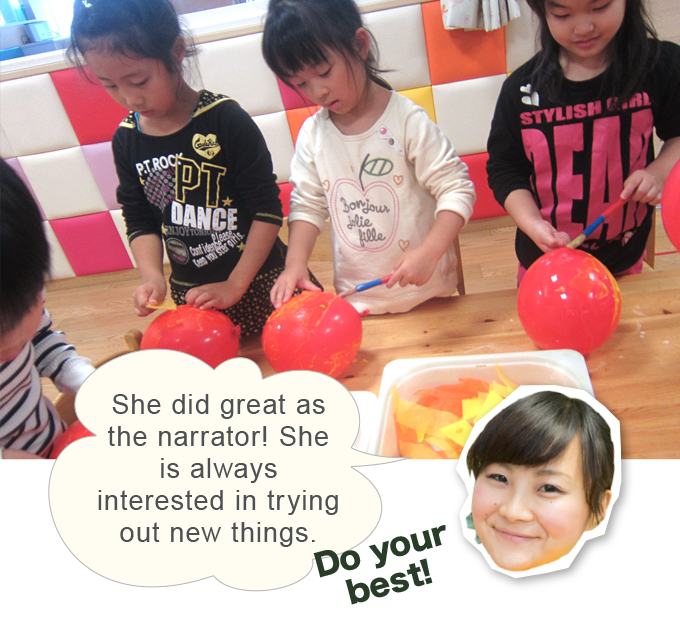 She became interested in several different activities and, as the class leader, was very positive about everything. She really liked jump rope and became an example for many of her friends. She also got into doing ballet. She remembered many songs after only hearing them once and became able to read a lot of short sentences without any problems. During an event, she was the narrator and was able to speak very well in front of a lot of people. She also got better at doing physical exercises and was able to learn how to dance faster than anyone else on sports days. The Eiken level 5 was her first time taking a test at such a large place. After the test, she had a doubtful look on her face and said "I was nervous and my hands were shaking. I don't think I did well." Despite that, once the results came back, she did way better than expected. She got a perfect score on listening, reading, and writing. I don't think she would have been able to do that from studying at home. She was able to do that because Sunrise. I think it's good that she has gained such self-confidence, motivation and willingness to try. Thank you for that, Sunrise teachers! 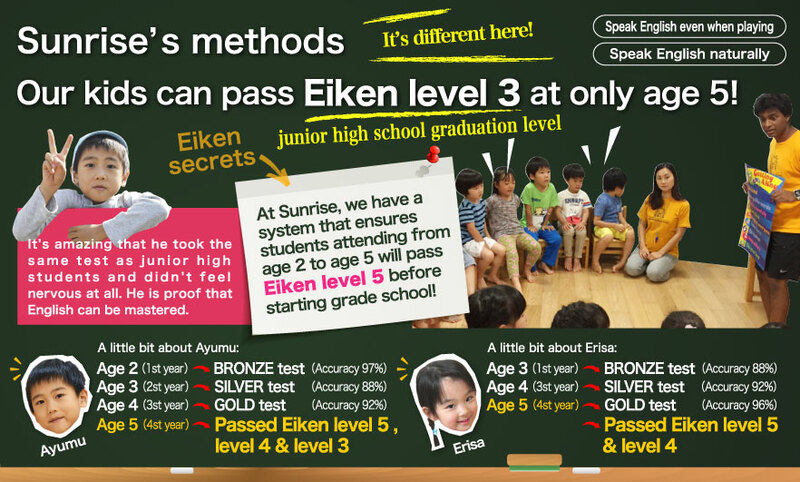 ※Eiken Jr. is not a test where students pass or fail, but more of a test to help kids to grow. Listed below are scores our students obtain. 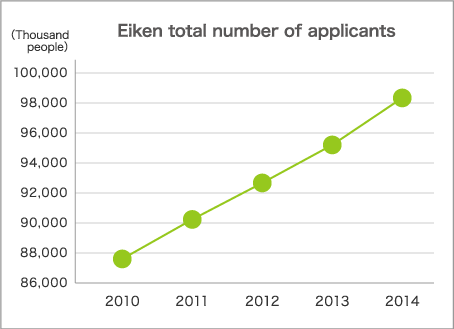 About the Eiken Jr. Around 100,000 elementary students per yer year take this exam. The exam can be taken in either paper or online format. 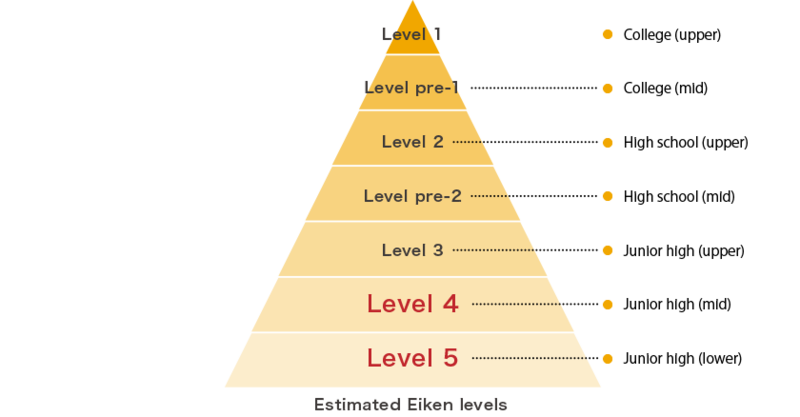 There are three grading levels. The exam focuses on listening and a pass/fail score is not given, but rather a percentage of correct answers. 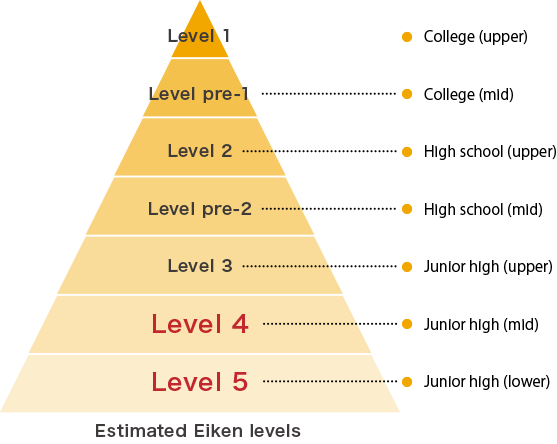 As one becomes able to use more English, they'll be able to take on the more difficult levels, like pre-2 and 2 and eventually the toughest of them all: pre-1 and 1. One can start at any level appropriate to his or her ability. 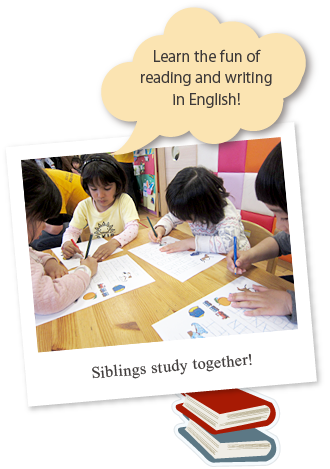 By taking the students will be more aware of their English ability. As one progresses through study, they'll be able to do even more in society. 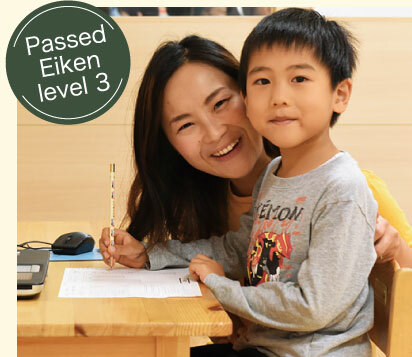 Eiken is not only for learning English, but it can also help decrease school tuition and admission fees (sometimes even making students exempt) for English courses. Schools offer many benefits and various kinds of preferential treatment. 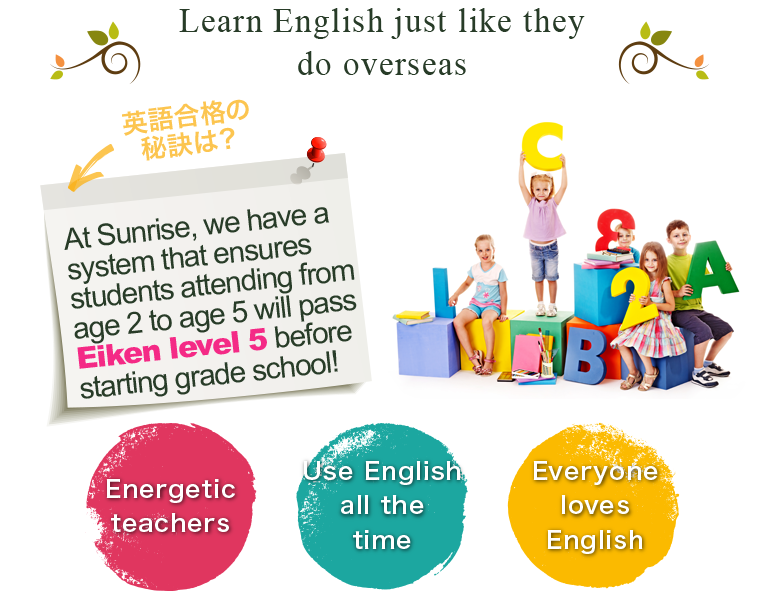 Eiken is intended for people of all ages, from children to adults. 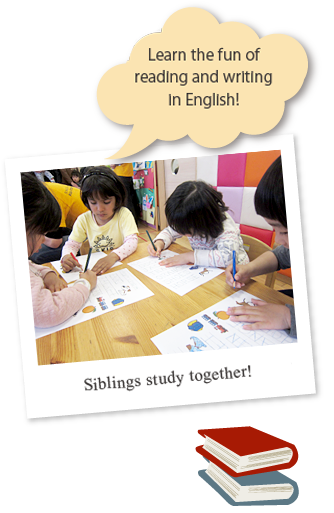 It's one of the largest English proficiency tests in Japan. It measures the four schools, including speaking, to determine one's English proficiency and to help them achieve their dreams and goals, ranging from daily conversation to business English.